A lot can be learned about Austin from the bumper stickers and T-shirts that can be found around town: I wasn’t born in Texas, but I got here as soon as I could – Keep Austin Weird – You may all go to Hell, and I will go to Texas (Davy Crockett) and the ever-present Hook’em Horns! Austin started out as the center of two major institutions in Texas: as the seat of state government, and as the site of the leading college – The University of Austin at Texas. This, in many ways, typifies the contrasts that make up Austin: it is both the center of government in a conservative state, and at the same time a liberal college town. Austin, then, has evolved as an amalgam of all things Texas; a combination of rugged Texas individualism, institutional-think and liberal thinking. The net result of this has been a growing technology community, relatively low cost of living (and no state income tax), reasonable property and housing prices, an eclectic community of free thinkers, and of course – music. 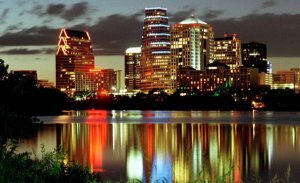 This has attracted a lot of people to Austin, following traditional economic development models, as outlined by Richard Florida in his seminal work, The Rise of the Creative Class. 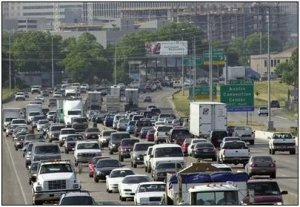 Folks in Austin will be quick to tell you about the influx of immigrants from California and New York, with the result being terrible traffic problems due to infrastructure that hasn’t kept up with growth. Some people come to Austin to attend UT and leave; others are attracted to the lifestyle and stay. Austin is also known as a town that doesn’t hire a lot of entry level employees. They expect employees to bring experience and insight; therefore many locals find they must gain their skills in cities like Houston and Dallas, and return later in their careers. With the presence of a large research university, Austin soon had demand for local youthful entertainment, resulting in the heavy club area on 6th Street. This attracted musicians to a scene that became coupled with Austin’s style of eclectic individuality. The general attitude is that when it comes to music, Austin is pretty accepting to anything that is good. 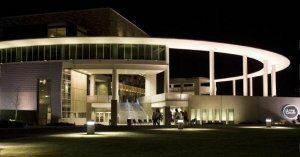 The University of Texas has its own isolated music school on campus, with a great deal of arts presentation at the university with very little interaction with the local community. 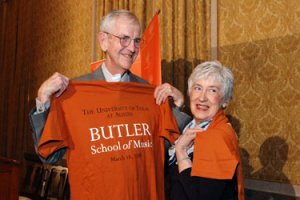 The music school was recently endowed with $55 million by the Butlers – local philanthropists – which resulted in the school being named after him. It will be interesting to see what, if anything, they do to with these fund to have a positive impact on society with their music. The history of these large endowments at other music schools has not been good. At the music school at Yale, for example, nothing has been done to enhance music or something that addresses the issues that classical music has in America today or in any way benefits our society. Instead, Yale is using it to compete with scholarships so that they can compete more effectively in acquiring students from the same pool that all music schools compete in, with a net result that all they are doing is shifting where students study, rather than come up with something innovative or significant. Let’s hope that the UT Butler School shows some greater wisdom and insight. There is a moderate amount of classical music being presented in Austin for its size, although both the Austin Symphony and the Austin Lyric Opera are both part-time ensembles. Neither has a full year season, so their performers (as is typical with most American cities) must find other ways of earning a living in order to subsidize their ability to play in these large arts organizations, and most do that by teaching. Austin added a major concert hall – The Long Center – which opened in 2008, and is a lovely venue now used by the Symphony and Opera. While it has suffered from some financial shortcomings and has already suffered layoffs in staff, it is run by some very nice and insightful folks that regularly look for ways to reach out to the Austin community rather than being like most huge halls which cater to an elite audience as though they are surrounded by an unfriendly moat that keep out the taxpayers that fund these big buildings. Classical music is a tough career direction in Austin, as there just isn’t enough activity to support the careers of classical musicians, beyond the part-time symphony/opera and teaching gigs at UT. One UT professor lamented that he never got offered any freelance playing work in town, and his cohort replied, “that’s because there is no freelance work in Austin! Similar challenges abound on the popular/mainstream music front. Austin balloons twice a year with musicians during South by Southwest and Austin City Limits, and there is a proliferation of clubs, especially along 6th Street. However, once you look past the facade, most of the clubs are controlled by a handful of owners and rarely pay musicians to perform, and if you look at most of the regulars playing in these clubs you’ll find they’re in the same predicament as the symphony players – few actually earn a living from playing music, and either have day jobs or have to teach extensively in order to support themselves. But as said earlier, Austin is a friendly and accepting town that not only tolerates and encourages a wide variety of music styles and the unusual. 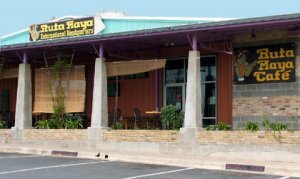 Once such venue, coffeehouse Ruta Maya, and an amazing variety of acts that perform on their stage. On one recent weekend, for example, they hosted a folk singing group which suddenly sprouted belly dancers! Nobody even bats an eye at that in “weird” Austin! One final observation is worth noting. 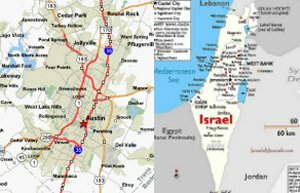 From an economic standpoint, Austin is surprisingly very similar in structure to the State of Israel. Both entities have extensive entrepreneurial startup firm communities, mostly in the tech sector. Both have significant universities and government as part of the fabric of their economy, and large business is dominated by a handful of firms. In the case of Austin, it is giants like Dell Computer, and computer chip manufacturers like Freescale, Motorola, AMD and National Semiconductor. In Israel’s case, it is firms like Israel Aircraft Industries and Intel (ironic, given they are a US firm). In both cases, they lack any significant middle market or large services business besides those connected with government, which is one of the differentiators, besides just sheer size, between Austin and nearby cities like Dallas, San Antonio and Houston. Of course unlike Israel, Austin has no standing army. However, it is well-known in both entities that because of the lack of domestic market, firms need to quickly expand beyond their local markets in order to grow. In conclusion, Austin is a hip funky university town with state government and a significant tech community. While Austin can get very hot during the summer, it makes for very moderate winters and generally nice weather. 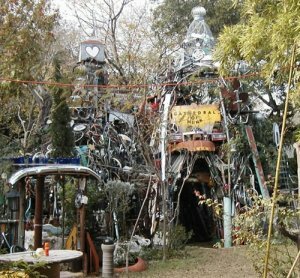 Austin, despite its growth, is still a relatively small US city, especially compared to its neighbors, but differentiates itself with its liberal freethinking artsy community. Music is part of the fabric of Austin, and while there isn’t enough of an economic base to support the careers of many musicians, it is a great place with which to develop and try out new ideas in a very accepting environment. In this way, Austin is the perfect home for the Drapkin Institute, where budding entrepreneurial musicians can not only study, but experiment and try out new music business models, perfect their entrepreneurial skills, and then fan out to larger venues. The Live Music Capital of the World is a great place to change your thinking and be able to point back to Austin as the place where it all started. Copyright © 2015, Drapkin Technology Corp. All rights reserved.